It’s a quick turnaround, but I just learned that the United States Food and Drug Administration (FDA) is taking comments for recommendations on wording it plans to give in the near future to the World Health Organization (WHO). 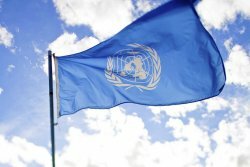 The comments will be reviewed in advance of a report regarding a number of controlled substances which WHO will be issuing for the United Nations Secretary-General later this fall. One of those substances is cannabidiol (CBD), one of the most actively therapeutic components of cannabis. “The United States is a party to the 1971 Convention on Psychotropic Substances (Psychotropic Convention). Article 2 of the Psychotropic Convention provides that if a party to the convention or WHO has information about a substance, which in its opinion may require international control or change in such control, it shall so notify the Secretary-General of the United Nations (the U.N. Secretary-General) and provide the U.N. Secretary-General with information in support of its opinion. We need to act fast, but there’s still time to make our voices heard: THE DEADLINE TO SUBMIT COMMENTS IS WEDNESDAY, SEPTEMBER 13TH! This is a great and easy form of activism, and I would encourage all of our readers and supporters to send a quick comment to let the FDA know that you recognize, along with thousands of scientific studies, CBD is a medically therapeutic substance. CLICK HERE TO SUBMIT A COMMENT. National and international laws should catch up to science and reflect the reality that most US (and other) citizens recognize: cannabis is a safe and effective medicine! Keep up with the latest happenings in global cannabis policy at the International Cannabis Business Conference! Our next event is happening December 1-3, 2017 in Kauai, Hawaii! Get your early bird tickets today! Photo courtesy of sanjitbakshi via flikr.